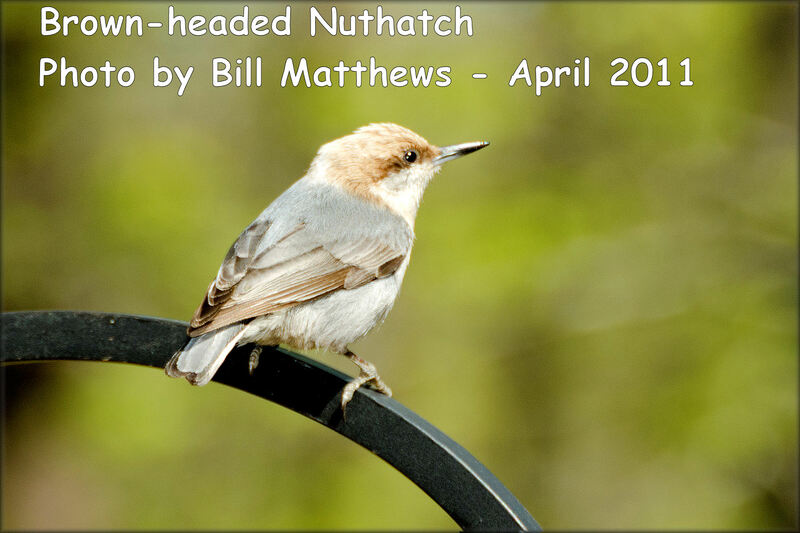 Though I promote bluebirds, these nesting sites are NOT just for our native bluebirds! 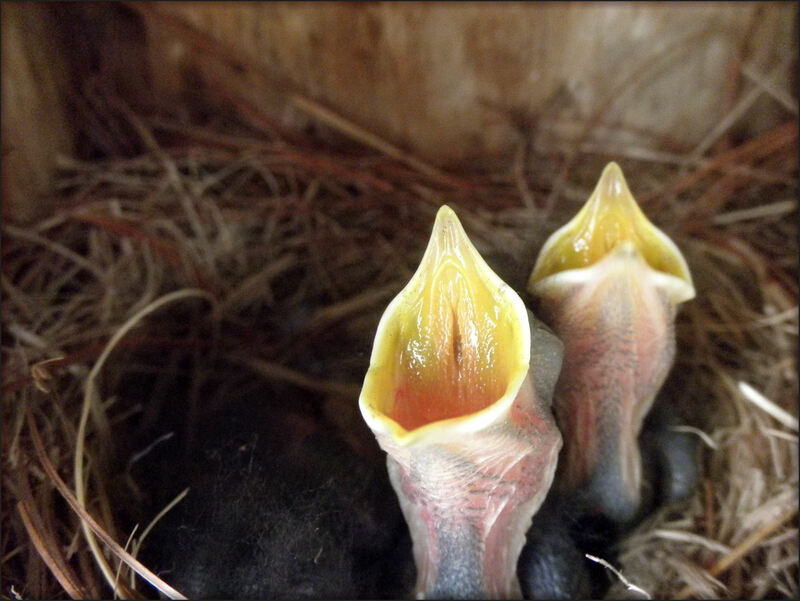 All native cavity-nesting birds need a place to raise a family — they have many of the same challenges that bluebirds have to find proper housing and habitat. 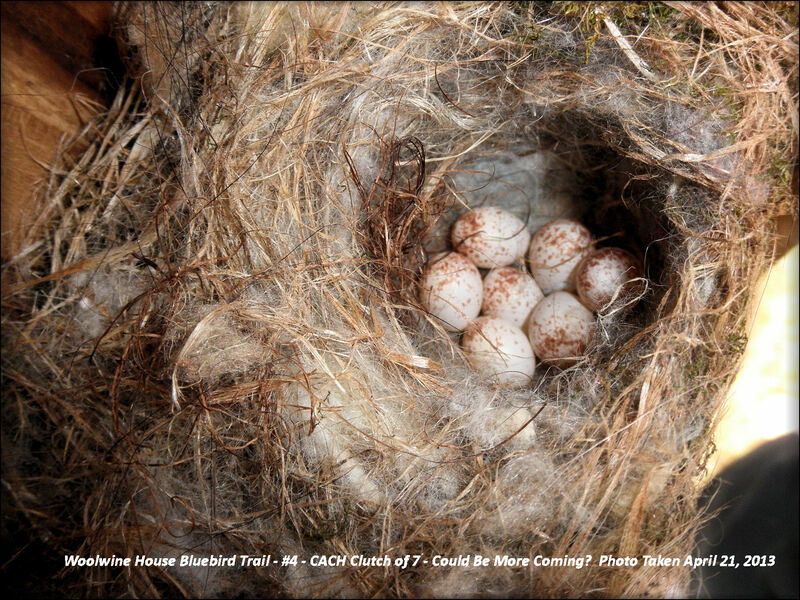 Some of those species, such as the Carolina Chickadee, generally has only one brood/nesting cycle per year. I tend to go into more details of all the wonderful cavity-nesting birds–the native ones–that we should also allow (and by federal laws never EVICT) from our nesting boxes — that place with a roof we like to call home for bluebirds. Stay tuned in as I develop this page. 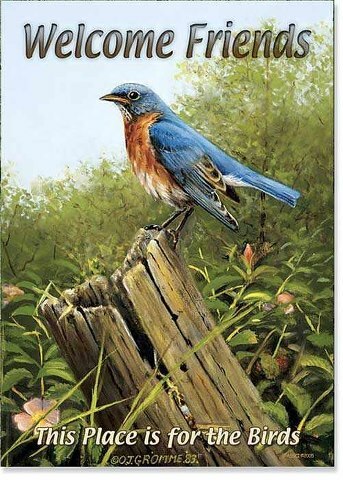 Enjoy this gorgeous video of the Tree Swallow and the Eastern Bluebird. The Tree Swallow is another favorite cavity-nester I like seeing in my nesting boxes, as long as this species does not fight with the bluebird. 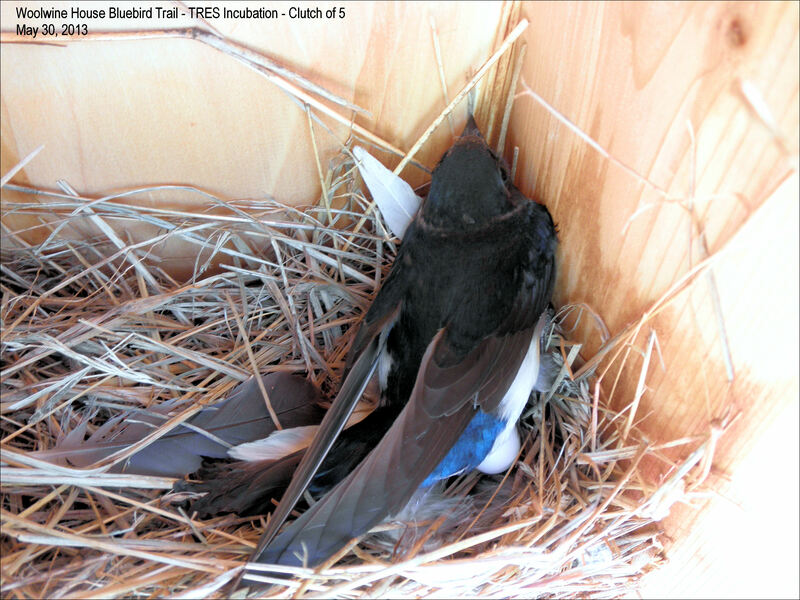 There are ways of working around both species so they can nest side-by-side by “pairing” nestboxes. 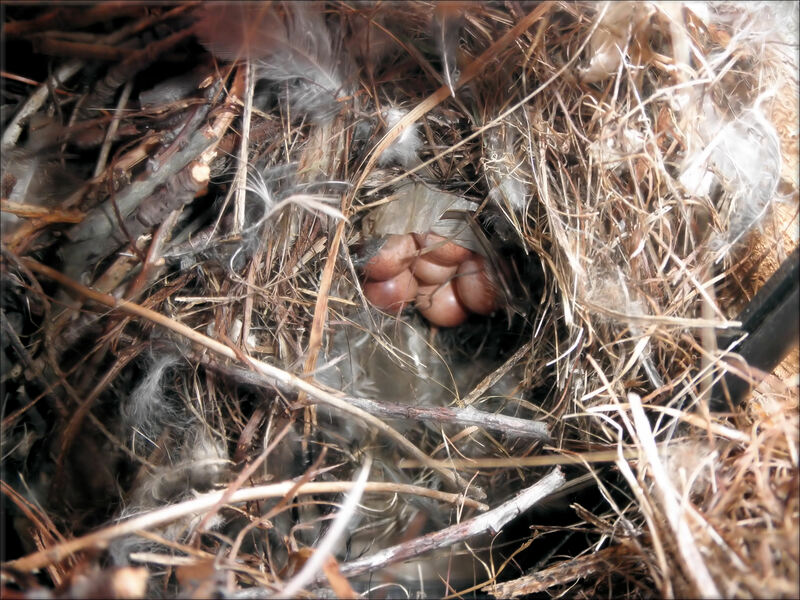 No blanket of fur and hair on this nest on a clutch of 7. 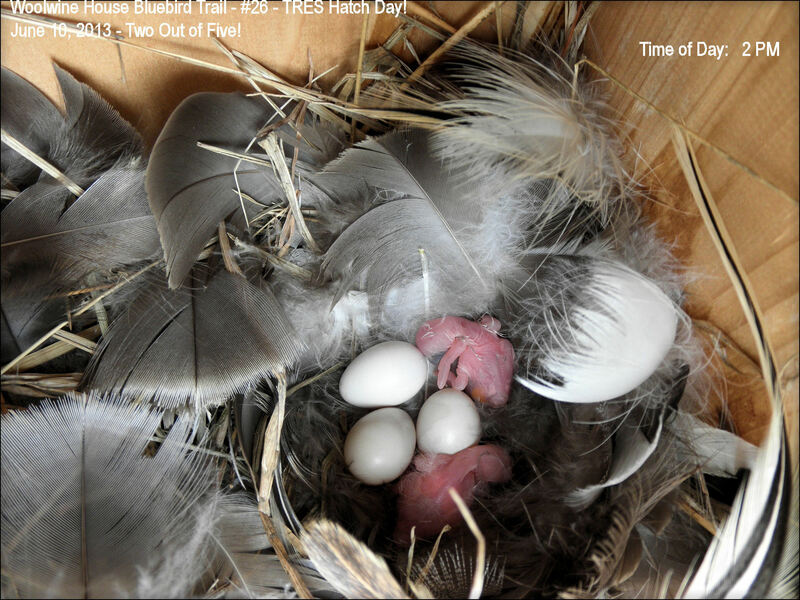 Photo of this nest was taken April 21, 2013, in one nestbox. House Wren eggs. Though this species causes problems for nearby nesting birds, it cannot be evicted if it is actively nesting–it’s native and it’s against federal laws to evict them from a nestbox.